By midsummer, orange daylilies are everywhere. They nod their heads from the back tiers of gardens and stand in groups along dusty roadsides. 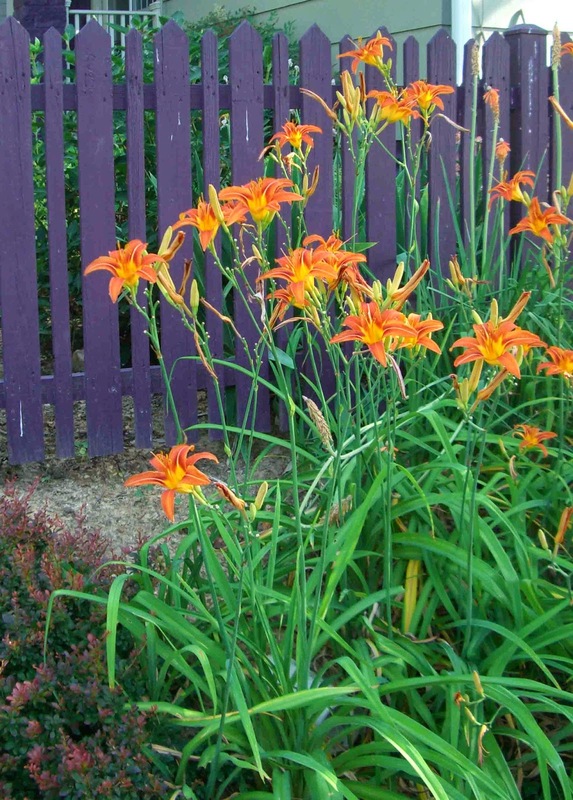 Orange daylilies are like a basic blue dress shirt; useful but not very imaginative on its own. Paint your fence the color of a ripe eggplant and suddenly those daylilies seem like a brilliant gardening decision. The purple makes the oranges more orange. Both colors benefit from the presence of the other. Now the daylilies are the stars, not the extras in the background.